We are offering SS Soap Dispenser to our clients. 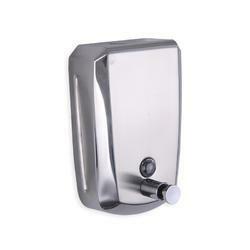 Backed by our prosperous industry acquaintance, we present a comprehensive range of SS Soap Dispenser. Optimal in finishing, these Stainless Steel Soap Dispensers are reliable and do not get damaged by using up to several years. 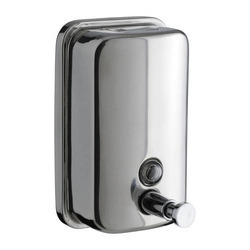 This soap dispenser is widely demanded in homes, hotels and resorts. Damage free in nature, these dispensers are made under the guidance of professionals who hold much expertise in the work. - Capacity: 500 ml / 1000 ml.